We are rather spoilt for choice in this part of England when it comes to outstanding accommodation. I have invested much time in selecting places for my guests to stay, using my local knowledge, word of mouth, internet reviews, and of course my own visits. Hence, I can confidently say that choosing a place to stay from the list below will provide you with outstanding accommodation, excellent hospitality, great food, and a memorable stay. However, because of the great choice that we have in this area, I have also included a further list of accommodations that I have full confidence in, that maybe offer a different, yet high quality experience. Please browse at your leisure. This hotel offers the ultimate luxurious retreat, and is beautifully located on the banks of the River Exe. It’s only been open since April 2017, but it’s already establishing itself amongst the finest hotels in England. 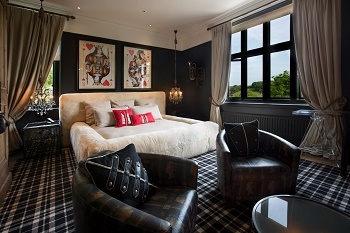 The brainchild of Michael Caines MBE, this hotel has been created with passion and dedication. Our previous guests that have either stayed or eaten here always wax lyrical about their experience, and I can only echo that having eaten there myself – the customer service here is second to none, and for people who appreciate food, this is one of the many areas in which the hotel excels. It is very special indeed. 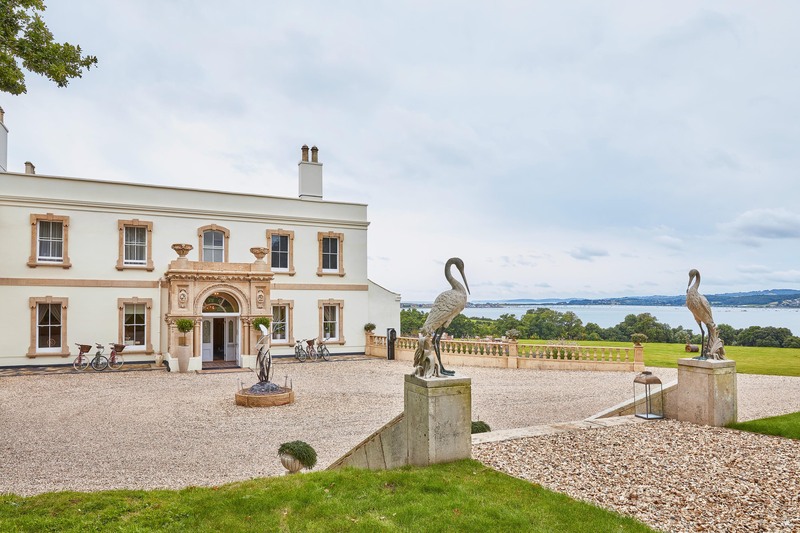 On one occasion I took a guest to Lympstone Manor to celebrate her 75th birthday, and we had lunch there. It was undoubtedly the finest meal I’ve ever had, and my guest echoed this too. Stay here and we’re certain that you’ll appreciate it. 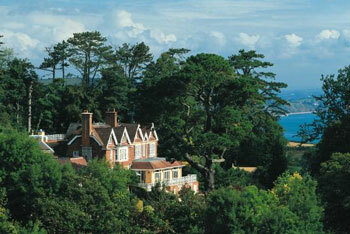 Visit the Lympstone Manor website. This is a new addition to our list of accommodations that we recommend, and it really isn’t difficult to include this wonderful hotel, and for various reasons too. The location is second to none, since it is right by the water’s edge, and the views across the bay, looking along the coast, are quite gorgeous. You can stroll from here along to Oddicombe Beach, sit out on the decking enjoying the evening views, or just relax in your bedroom listening to the sound of the sea. There are a variety of different styles of bedroom to choose from, including their amazing beach huts. There is also a spa, so please remember your swimming costume if you decide to stay here. The hotel is located a short taxi ride from the centre of Torquay, so if you fancy enjoying dinner at one of the excellent restaurants in town, that can easily be organised. 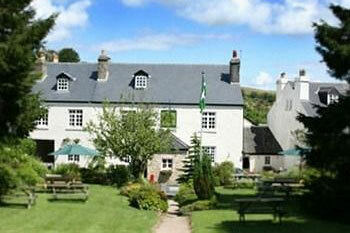 Visit The Cary Arms Website. It’s quite incredible just how a hotel can be turned around from the ordinary, one year, to the extraordinary the next. But that’s what has happened to Glazebrook House, and having visited it recently for the first time, I am delighted to recommend it as a most luxurious and unique hotel for my guests to stay in. Recently named ‘Best, Small, Exclusive Hotel’ in the Condé Nast Johansens 2016 Awards for Excellence, it is certainly living up to this status, with glowing Tripadvisor reviews for its accommodation, customer service, exquisite food and originality. One thing that stayed with me after my visit was the fact that I did not just look in each room, then walk out, but I actually wanted to pause and take everything in, such is the individuality of each room. I am sure it will be the same for you should you wish to stay here. Please note that Glazebrook only accepts bookings for people aged 16 and over. I like to think that what I offer to my guests is a bit different from the norm, so when I find an accommodation that tries, like me, to go beyond the extra mile, I take note of it. The 25 Boutique B & B has only been open for a comparatively short time, but it has already become the “Best B&B in the World” according to Tripadvisor, which is an incredible achievement. One quickly notices the small touches and attention to detail that makes this guest house stand out in Torquay, hence I can gladly recommend it. Within ten minutes’ walk of the seafront and a plentiful array of restaurants, The 25 offers guests the opportunity to stay in this old and elegant seaside resort, and to be within a very short distance of the starting point of one my most popular tours, the Agatha Christie full day tour. Please note that The 25 is adults only. I have chosen this Georgian manor for my guests as it really is a wonderful retreat, and Neil and Catherine, the owners, have created an atmosphere of calm and tranquillity for their guests which one can’t help but relax into. 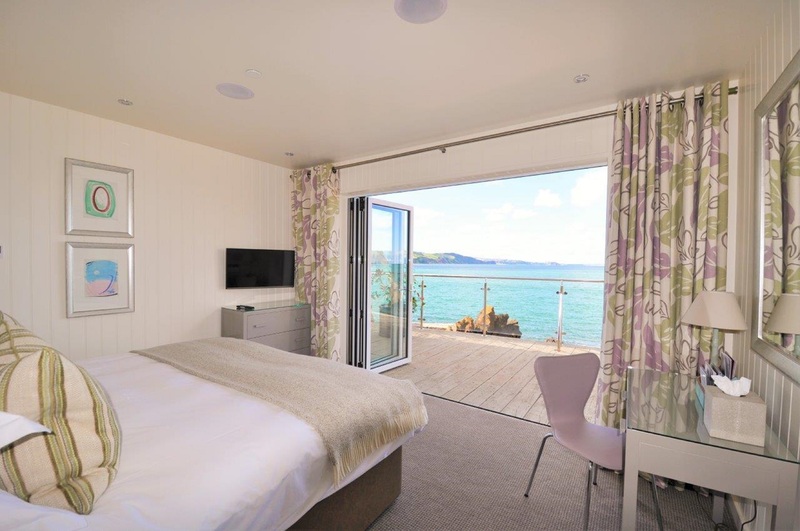 The rooms have all been recently re-decorated in a stylish, boutique manner, they are all en suite, and the majority of them have sea views. I have seen inside every single room, and I can honestly say that they are all very appealing. The food that is served up in their restaurant is of a very high standard. I’ve had many guests stay here in the last couple of years, and all the reports have been glowing. Indeed, my brother even stayed at Orestone Manor over his wedding weekend, and told me it was quite wonderful, as I am sure you will be saying too once you have experienced this superb accommodation. I’ve known The Ilsington for a long time, and have always been a fan of this understated and tranquil place. As a family it is a favourite – we celebrated two ‘big’ family birthday weekends here recently, and always come away feeling like we’ve been on some kind of calming retreat. The hotel is peaceful and comfortable, and the customer service consistently excellent, but not ‘stuffy’ at all. One of the highlight features here is the award winning spa, which is superbly equipped with all one could want. This is a family run hotel where the staff make you feel very welcome, and where you feel as if they will do anything to please you and to help you have the most relaxed stay possible. 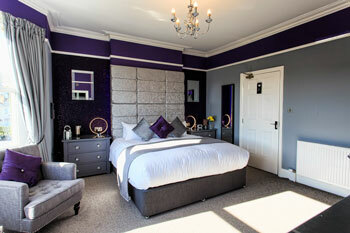 Visit the Ilsington Country House Hotel website. They say that first impressions last, and at Bulleigh Barton Manor this is certainly the case. On arrival one can’t help but notice the beauty of the spot. The historic house, set in its own attractive grounds, looks across at a beautiful Devon view that could entice one to stay for much longer than planned. Guests are greeted with a home made cream tea, and encouraged to feel completely at home from the word go. Liz and Mark have got just the right ethos about how to treat their guests, and they give the impression that they will go to any length to ensure that people leave Bulleigh Barton Manor wanting to return as soon as possible. Customer service and hospitality of the highest level awaits you here, as well as a beautiful house, tranquillity, and gorgeous home made cakes! Please note that one friendly dog lives at Bulleigh, so the house is not suitable for visitors who are allergic to dogs. Over the last couple of years, I have strived to deliver excellence for all my guests, in every aspect of what I do as a tour guide. I therefore want them to have the best experience possible when staying in Devon, hence I am pleased to present Gidleigh Park Hotel, one of the United Kingdom’s most highly acclaimed hotels. 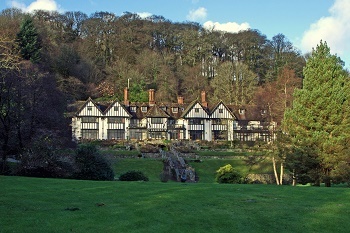 Situated in its own peaceful grounds from which stunning views are to be had, Gidleigh Park offers guests the ultimate in refined living and fine dining. Nestled in a beautiful Dartmoor setting, guests can explore the grounds at their leisure, play croquet, or just sit and enjoy the peace and quiet of this wonderful hotel. You will come away from a few nights here feeling rested and very well looked after, of that I am sure. 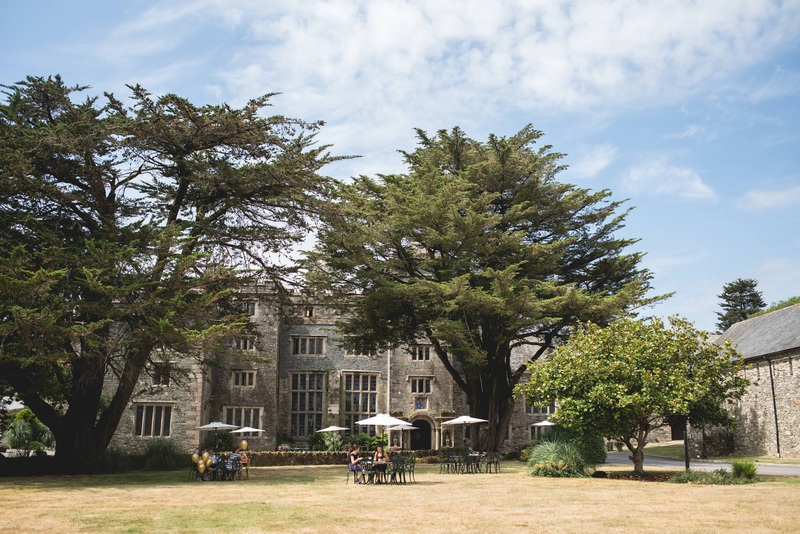 Boringdon Hall offers an opportunity for guests to stay in a very fine and historical building, whilst enjoying all the comforts of a high quality hotel that clearly has a great deal of love going into it from behind the scenes. The bedrooms are quite beautiful, and offer luxury and comfort, and even the opportunity to sleep in an antique four poster bed (the oldest one dating from 1740!). 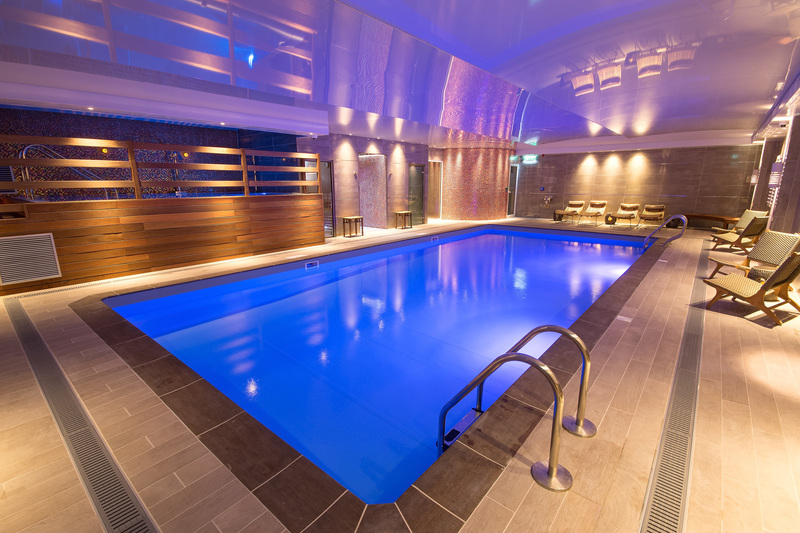 The spa here is fabulous, and there are a range of treatments available to you to help enhance your mood. If you were on tour with us for several days, you might even want a ‘rest day’, where you can simply relax in the lovely surroundings that Boringdon Hall offers. Paul and Lynnie, the host and hostess at Higher Gitcombe, take the greatest of pride in what they do, and get great pleasure in making sure that their guests are as happy as can be when they stay at this lovely boutique bed and breakfast. 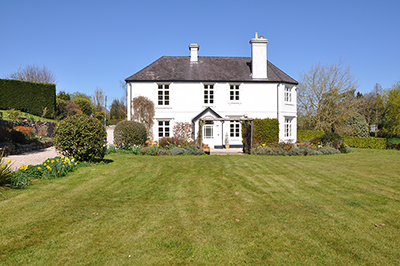 The house is in a very tranquil location, surrounded by lovely gardens and rolling green countryside beyond that. There is very little noise pollution here! On my first visit to Higher Gitcombe, I remember being really delighted at the amount of fine touches and extras that are provided for the visitor. Paul and Lynnie really are people pleasers, and this shows in the Tripadvisor reviews that they consistently receive, and the awards that they’ve one. If you’re looking for a rural idyll, this could well be the place for you. I have a soft spot for Dartington Hall and its wonderful grounds, and for various reasons. First and foremost, the location is very special, with this historical place being tucked away within its own magnificent grounds (all 1200 acres of them!) – with enchanting woodlands, open fields, long stretches of the River Dart, and beautiful formal gardens, this is a lovely place to wander around. The buildings here are very old and characterful, and pleasing on the eye, and the bedrooms offer every comfort. Then there are the onsite opportunities: the Barn Cinema, where you can watch a movie or other entertainment in the evening the Great Hall, a medieval hall where they regularly stage live music and other performance; the different places to eat at, including The White Hart pub and the excellent Green Table Café, where their chocolate brownies are sensational; and so many other events on a year round basis. It’s also not far from the Shops at Dartington and the town of Totnes, so it really is a great place to stay, especially if in the area for a week or more. 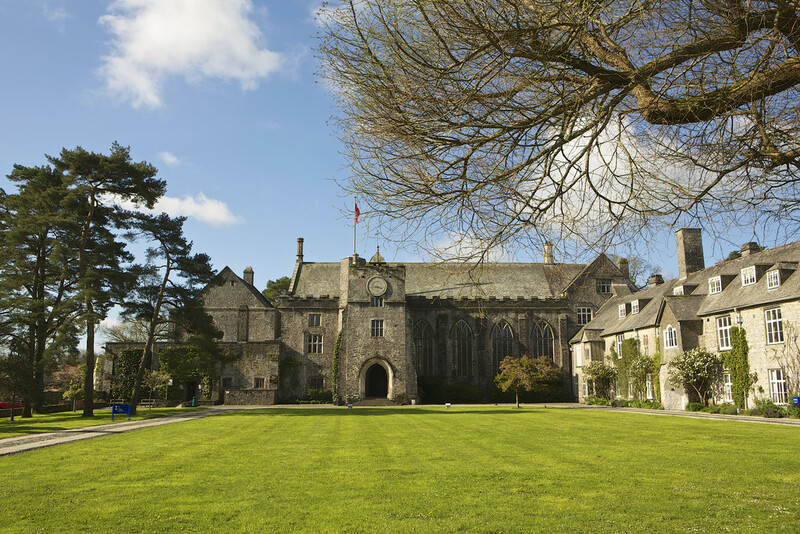 Visit The Dartington Hall Website. I felt very strongly that I needed to have a place for my guests that represents Dartmoor, and feel that I have made exactly the right choice with The Rock Inn. It really is a perfect example of an old English country inn, being built originally in the 18th Century as a coaching inn. It has been run by the same family for many years, and retains very high standards of customer service, comfort and cuisine. The bedrooms are tastefully decorated in the tradition of the Inn, and offer very comfortable and relaxing environments. The inn is on the edge of the Moors, situated in a tranquil and idyllic setting – what better place to return to for a fantastic evening meal and a great night’s sleep after a grand day out? A lovely town house in Ashburton – I have recently become acquainted with the owners of one of the houses that Harry Baskerville lived in locally (the man that drove Sir Arthur Conan Doyle around Dartmoor, whose name has become the stuff of fictional legend). It is a beautifully decorated and equipped house, big enough for six people. If you’d like to stay here to get close to something fundamentally Sherlock related, please click here. 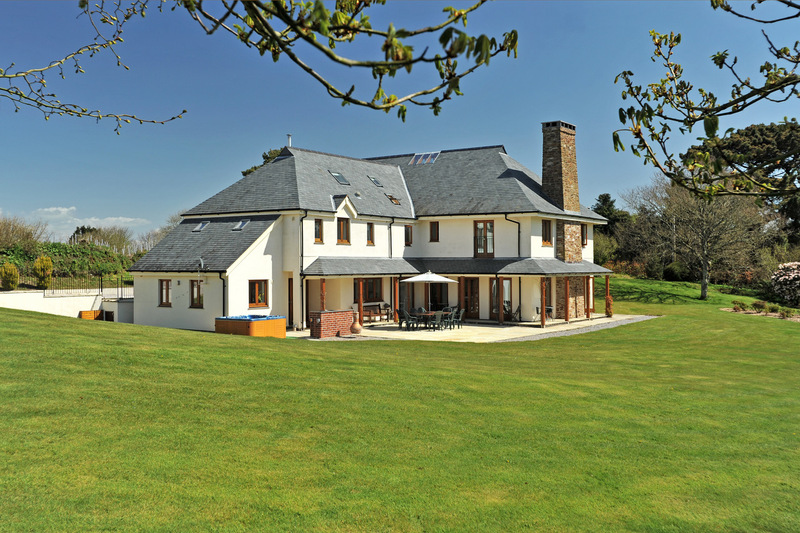 The same people also own the smaller Ashburton self catering property that you can see here.